A trailer has been released for The Avon Barksdale Story and it looks to be a treat. The video is a recreation-heavy documentary about the life of Nathan Avon Barksdale, a notorious crime figure in Baltimore. 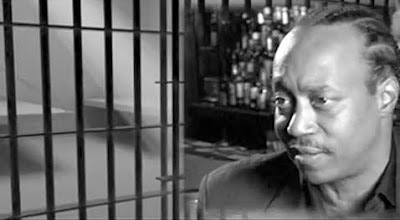 Though the Avon Barksdale character featured in The Wire is a composite of several figures, Nathan was the primary inspiration. Somehow, the makers of this doc managed to get actor Wood Harris from The Wire to appear in the documentary. And by "somehow" I mean "with a bag of money and a promise to only occupy two hours of his time." The Legends of the UnWired subtitle seems to hint at this being the start of a series, which is, uh, interesting. I do not expect much from this documentary in the way of craftsmanship, but the man himself has led a bizarre life and the chance to hear him recount it is tough to pass up. The DVD will be released by Koch Records and E1 this March, and straight up, I cannot wait to see this pile. I truly hope this video delivers even a portion of the "violent shenanigans" it promises. And while we're at it, have you seen the teaser for David Simon's upcoming HBO miniseries Treme? Not much is known about the show set in post-Katrina New Orleans, but I will make this bold prediction now: it will rule.